I just read this article and thought you might want to give it a read, too. 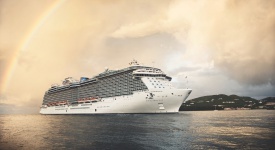 It\'s called Cool family cruise perks kids will love and you can find it here https://www.orbitz.com/blog/2014/03/cool-family-cruise-perks-kids-will-love/. Are ya ready kids? 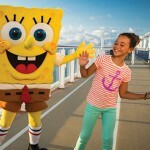 Sponge Bob hangs out with guests on an NCL cruise. Sometimes, all the pre-trip fuss over accommodation, meal and activity planning can take the wind right out of your vacation sails—before your plane even takes off. Cruises, on the other hand, nix all the fuss, with a payload of onboard dining and entertainment options for all ages, all included for the cost of your stateroom. 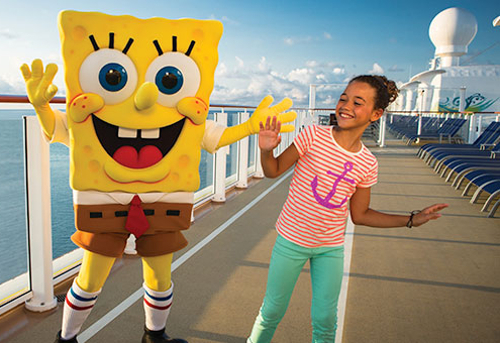 We’ve rounded up the best family cruise lines now delivering especially cool perks for the whole family. And the best part? Kids sail free aboard select cruise lines, this month only. For the kids: Dr. Seuss’s kooky, imaginative characters take to the high seas with Carnival Cruise Lines’ brand new Seuss at Sea experience. The Seuss-themed cruise brings the classic children’s books to life, giving little ones the chance to march along in character parades, dine with the Cat in the Hat and other friends over breakfast, try their hands at arts & crafts, and more. Got older kids?There’s plenty on deck for them, too, from teens-only clubs to mini golf and ropes courses at sea. For you: The Serenity Adult Retreat, a 21+ pool area, is the perfect spot for parents to enjoy a little “me time” while the kids are at play. After a little relaxation, adults can unwind some more over cocktails at poolside parties, or enjoy casual dinners and stage performances. Another option: Drop the kids off at Camp Carnival Night Owls and enjoy a romantic, kid-free night at one of the cruise line’s specialty restaurants, bars or nightclubs. For the kids: NCL keeps kid entertained indoors and out. Tell the kids to suit up for big thrills at one of the line’s massive, onboard waterparks. Nickelodeon-themed experiences are another option, while older kids can hang out and make new friends in the teen lounges—complete with bowling alleys. When the sun sets, bring the whole family back together for loads of laughs with improv from The Second City comedy troupe, plus thrills from shows like Blue Man Group, Rock of Ages and more. For you: NCL knows how to party: Think 22 different onboard bars and lounges that include ice bars, piano bars, pumping discos and intimate lounges. If you’d rather take it down a notch, NCL ships offer plenty of relaxing spa options, too. And when it comes to dining, no need to worry about coordinating your crew for a meal: Norwegian is famous for its Freestyle Dining options, where everyone can eat whenever and whatever they want, from gourmet four-course meals to kid-friendly fare. For the kids: Adventure is always just around the corner with Royal Caribbean, where ships offer kids of all ages adrenaline-pumping fun: Think rides on the FlowRider® surf simulator, ice skating, rock climbing and ziplining. RC also offers a special DreamWorks experience, where kids can enjoy shows, dining and special appearances featuring their favorite characters from Shrek, Madagascar and other animated hits. For you: Everything’s zen at RoyalCaribbean’s spa, where you can enjoy all the rejuvenating treatments you know you deserve. Or bring your energy level up with fitness classes before meeting back up with the kids at night for Broadway musicals and ice skating spectaculars. Royal Caribbean’s Sitters at Sea can also entertain kiddos ages 1+ right in their stateroom, so parents are free to enjoy a date night at Casino Royale® or one of the many onboard nightclubs and lounges.